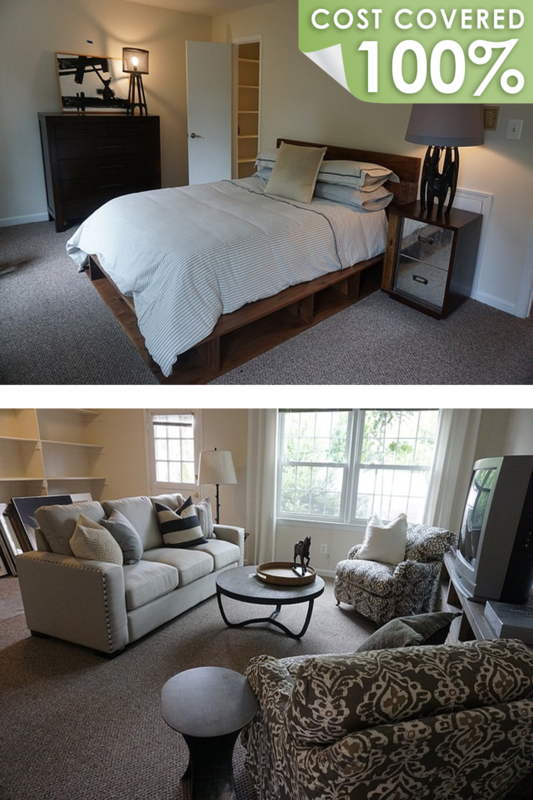 In July 2018, HomeAid, Builder Captain M/I Homes, and 15 trade partners completed the renovation of a townhome owned by Pathway Homes, Inc., who provides non-time-limited housing and supportive services to adults with mental illness and other co-occurring disabilities in Northern Virginia. The $75,000+ project centered on a home first purchased by Pathways in 1992, which hadn’t seen a major update since. With a full kitchen renovation, updated bathrooms, new flooring, interior paint throughout, and additional storage added, it was a complete package of breathing new life into a 30-year-old home. But it was so much more: When Joe Lucado and Brian Jones, M/I Homes’ vice president of construction and project manager, respectively, saw that one of the residents was an avid reader, they added a wall of built-in bookshelves and office shelving for him. When they learned that all three gentlemen were long-term occupants, they provided swatches so that they could select flooring that would work best for their needs and tastes. And when they realized that the existing furniture was as worn and outdated as the home, they called P[Four], an interior design company that decorates all of M/I Homes’ model homes, who completely outfitted the entire home with art, accessories, furniture, window treatments, towels, bed duvets. Thank you, M/I Homes and the following trade partners, for your work in empowering three men and surrounding them with beauty.